Reach every single student like a boss! Rates: $175 - $575 USD per week. Class rates per week improve the more weeks you sign up for. Importance: all of your students need you, and if Spanish is the first language for some of them, then you'll become a better teacher if you can speak Spanish too, regardless of what you're teaching... and if you're teaching Spanish, let us help you teach it even better: that's exactly what we do, we're experts at teaching Spanish as a foreign language! Structure: 2 - 6 hours of Spanish for Teachers p/day, OR 4 hours of general Group Lessons + 1 or 2 extra hours p/day of Private Lessons focused on Spanish for Teachers. Teaching is all about transmitting knowledge and helping students acquire habits. Your students need to assimilate and understand what you're trying to convey. Where you're coming from. And you need to be able to understand them too. Not just their language, but also their culture and how they think. What's important for them. Their background and heritage. Parents also play an important role, specially for underage students. Being able to effectively and efficiently communicate with your students' parents is essential as well. Teaching is one of the most important professions out there. It's fun and can be highly rewarding, but if you're struggling to reach your students or their parents because of a language / cultural barrier, then it's time to do something about it, and to not jeopardize your students' future. Language barriers can often make the teaching process a lot more difficult, to not say impossible. Today's multicultural environment forces us to cope with these language barriers, but for young children, teens, parents and even teachers, it can be quite challenging as education requires communication. In the United States, the hispanic community is constantly growing, and most of first generation immigrants do not even master English well enough to be able to properly learn other topics using English as a medium of communication. And that's without mentioning those children who made their way to the USA without their parents and find themselves in your classrooms. Hence, many teachers nowadays decide to grab the bull by its horns and learn Spanish, so that they can better communicate with their audience. Being able to discuss any topic with your students is crucial. It allows you to really connect with your students, and accurately transmit the information you're looking to transmit, regardless of your discipline. You'll have their trust, respect and admiration, and in return, you'll do your job a whole lot better. Most Spanish teachers in the United States, Canada and Europe are non-native speakers, and therefore don't always master the language perfectly unless they've lived abroad for an extended period of time. If you're a Spanish teacher, your conversational skills and basic grammar should be quite good, but there's always room for improvement in regards to more challenging grammatical aspects, or with your accent and conversational skills. Or more importantly with getting your students to actually speak and understand the Spanish language. Or you might just be struggling to teach Spanish and you're in need of new methodologies and approaches. This is where we come in. We'll teach you the more advanced grammar aspects, make you more confident as a teacher, and give you tips about how to explain any topic that you struggle with to your students. There's nothing more rewarding than feeling like you're in control of your classroom, making an impact in your students' Spanish skills, inspiring them to travel abroad, being more self secure, and capable of answering any possible question from your students. You might even be able to teach more advanced levels, and therewith further your career. 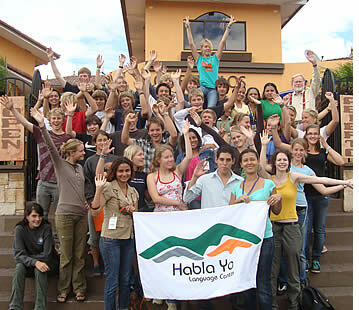 And how about taking your class on a school trip to learn Spanish in Latin America? Going abroad in high school or college, specially if you've never traveled outside of your home country, can change your students' lives in the most amazing ways, and you can make it happen. The specific contents of your Spanish for Teachers Course will depend on your current Spanish level and on your specific area of expertise (if you're an actual Spanish teacher or just a teacher with students who also speak Spanish). As Spanish for Teachers is provided through Private Spanish Lessons, your course will be adapted to your specific teaching needs. If you would also like to have Group Lessons to work on your general Spanish skills and then add some extra private lessons to work on your Spanish for Teachers, that can also be done. Contact us for more information. Your Spanish for Teachers Course is customized according to your specific discipline, your needs and personal requirements. All levels of proficiency are welcome. If you're still a complete beginner, we would recommend our Group 4 PLUS 1 or PLUS 2 option, so that you can improve your general Spanish skills during your group lessons, and then focus on specific vocabulary/topics during your PLUS private lesson. If you're an advanced Spanish teacher looking to improve your teaching skills, we highly recommend One-on-One lessons. Students can have from 2 - 6 hours of lessons per day. In order to prepare your Spanish for Teachers Course, please submit your Online Placement Test, and let us know your specific discipline, needs and goals. Our courses for Spanish Teachers are provided through Private Spanish Lessons. Students can have from 2 - 6 hours of private Spanish lessons per day, from Monday to Friday. Another option is to join our Group 4 PLUS 1/2 Course. 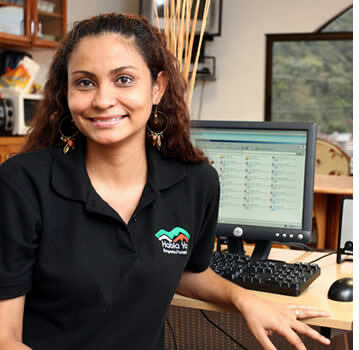 This is a great option (independently of your current Spanish level), if you would also like to work on your general Spanish skills and easily meet and interact with other students at our Spanish Schools in Boquete, Bocas del Toro and Panama City). In this way you'll have 4 hours of group lessons to work on your general Spanish skills, and then 1 or 2 extra hours or private lessons each day to work on your needs as a teacher or a Spanish teacher. How to be an even better teacher? 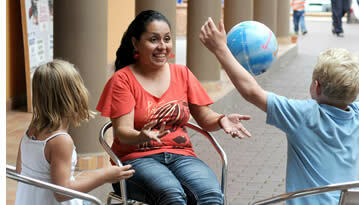 Be able to communicate with your students in their mother tounge! Contact us!